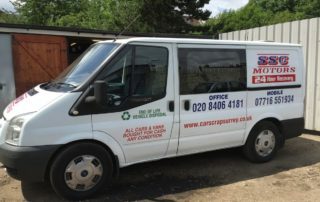 Here at Car Scrap Surrey, we offer our valued customers the best price for their unwanted vehicles in Chipstead and Epsom Downs. We provide a flexible, fast and reliable service, so whether you want to scrap an abandoned car, your vehicle has failed its MOT and you no longer want it, or it has been damaged in an accident, we are here to make your life easier. All cars that come to us are disposed of in an environmentally friendly and responsible way. Scrapping your car in Chipstead has never been easier. All you have to do is call us or fill in an online form for an instant quote. We then arrange a time and place that is convenient for you to come and pick up your vehicle and we pay you cash for your car. We pride ourselves on offering our customers a great experience and we will complete all the valid DVLA paperwork for you and issue you with a free Certificate of Destruction so you know it will not end up back on the road. 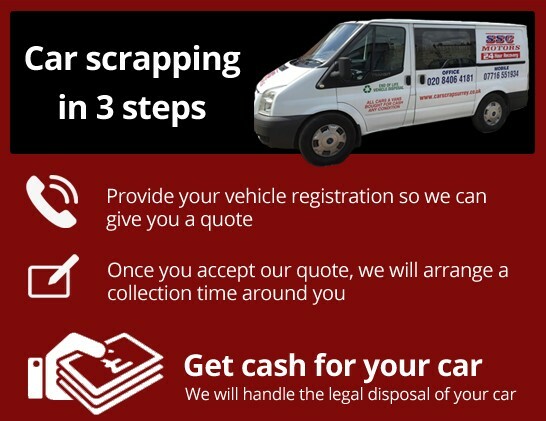 We are scrap metal and car recycling experts and have been in the industry for over 30 years, so can also offer you free advice on anything to do with scrapping your vehicle! 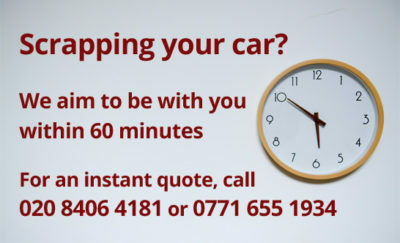 We are based in Croydon but collect cars from all over Surrey and work around the clock for our customers’ convenience. Why not give us a call on 020 8406 4181 or 07716 551 934? We look forward to hearing from you! We can give you a free, no-obligation quote at any time for your scrap vehicle and this price is guaranteed and will not change. We are professional car recyclers, so you can be sure of what will happen with your car, from beginning to end. We work in conjunction with Surrey Scrapping Centre, so your car will be collected, de-polluted, dismantled and destroyed in a responsible way. 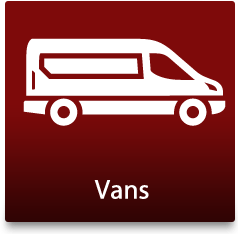 One of our drivers will arrive at your address, pay you cash and remove your vehicle – it really is that easy! Broken down on the M25 and don’t know what to do next? 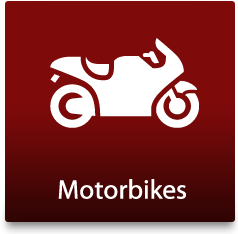 Call our vehicle recovery service and we will come and recover your van, motorbike, car or three-wheeler and whisk you to your nearest garage so you can get back up and running. 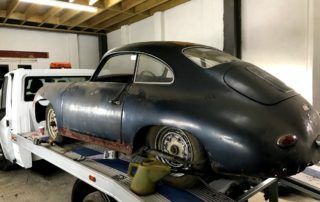 If you need a classic car taking from one place to another, we also offer our customers a professional and quick car transfer service. “Scrap my car in Chipstead? ”Get in touch today for more details about car recycling! Contacting Car Scrap Surrey couldn’t be easier. Simply phone our office on 020 8406 4181 or fill out the relevant details through our online form. Got a scrap car less than 10 years old in Chipstead? 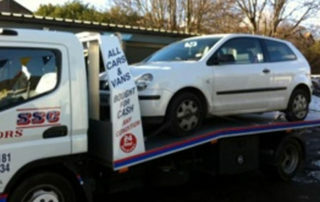 Our car breakers will give you cash for your car! 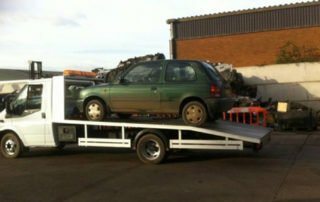 Car Scrap Surrey specialise in car dismantling, recycling and scrapping in your local area. 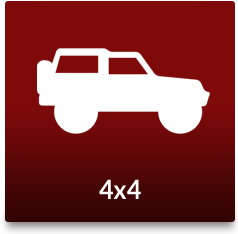 We dismantle private and commercial vehicles of all makes and models, seven days a week. You will receive money instantly and we operate a free scrap car recovery service, so we will come and get the car from you! 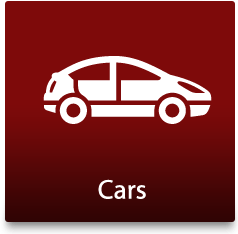 You may wish to dispose of your car for many reasons including MOT failure, accident damage, engine problems and many more. 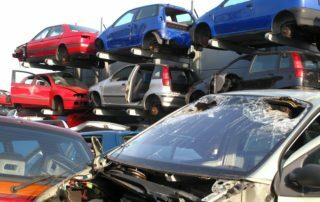 Scrap cars are often worth more than the repair and running costs of keeping it. 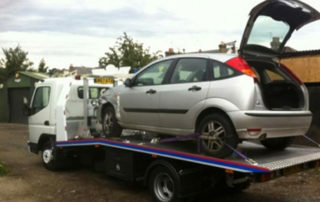 We are a team of salvage car buyers and pay top money for newer cars to recycle them for parts. We also operate a scrap metal service, where scrap metal is collected and disposed of safely, complying with all environmental obligations. We pay the best prices and save you the hassle and cost of expensive site clearances. If you require a valuation of your car, give us a call today!